NEW YORK, NY / ACCESSWIRE / January 8, 2019 / Broadcast Management Group, Inc. (BMG) welcomes global, award-winning producer, Fran Mires, as their Vice President-Creative Development - U.S. Hispanic Latin America Market and announces the opening of its Miami office. Fran is a veteran television executive and content creator who has launched and managed large and complex projects, networks, and award-winning shows in Spanish, English, and Arabic. Fran works extensively in the US Hispanic and Latin American markets. She has worked for the Telemundo Network creating and launching signature programming, including the Blockbuster mega-hit "Ocurrio Asi.'' She launched MGM Latin America's Casa Club TV, creating and producing their original series. As Director of Programming, she launched the first Spanish language 24-hour news network for both the US Hispanic and Latin American Markets. Mires produced a complex talent competition series for Estefan Television Productions and Telemundo Network. Fran also helmed a division for the Middle East Broadcasting Networks, creating its blockbuster signature hit "Al Youm," airing in 22 Arab nations. 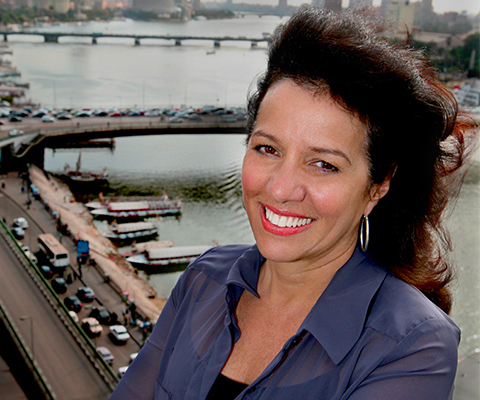 A daily 3-hour live news and entertainment powerhouse from Dubai, Beirut, Cairo, Jerusalem and Washington D.C. Fran then created several other original award-winning series from Reality to Investigative to Documentary. Fran also co-developed 2 original series from Dubai in the Reality genre for UK producer Tony Wood, in Arabic and English. "BMG has been expanding its services to support its international clients, Fran will make a great addition to the team," said Todd Mason, Chief Executive Officer Broadcast Management Group. Broadcast Management Group is a global media company with five practice groups: live production, broadcast consulting, creative content development, long-term production staffing, and event management. The company has offices in New York, Los Angeles, Chicago, Miami, and Washington, D.C.